Isa’s best friend in middle school attended Girls Inc. after-school programs, and she always talked about how it was such a great place. Meanwhile, thirteen-year old Isa cared for her younger siblings in the afternoons while her parents each worked two jobs. One day she asked her mom to enroll her in Girls Inc. because she has the desire to learn and be a part of something. 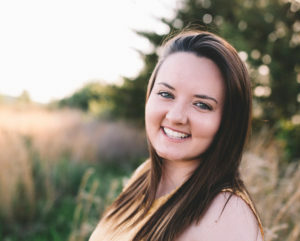 Isa quickly found a home in Girls Inc. She was exposed to the world in a new, positive way and felt it was always a safe space where she could learn and grow. As a part of Girls Inc., Isa learned there was more to the world than the drugs, teen pregnancy, and violence she witnessed in Lynn, MA. She refused to become a statistic of her environment and, instead, aspired to attend college and have a successful career. Isa participated in a career and college prep program with Girls Inc., in which she gained confidence and the desire to become a leader. The many peer-to-peer groups she was a part of also contributed to her self-discovery and helped her foster her own identity as she juggled roles as a student, daughter, and caretaker for her younger siblings. 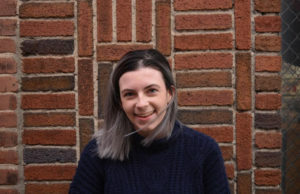 Girls Inc. helped her throughout the college process, and Isa is thankful to have had such a positive environment to explore and discover her true self. 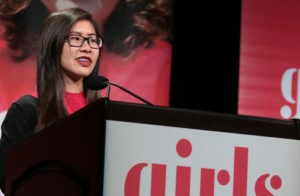 Isa also became a Girls Inc. Scholar and has since dedicated her time to educating the next generation of leaders. Isa is now an Adjunct Professor in the Marketing Department at Bentley University in Waltham, Massachusetts. She is very proud of all that she has accomplished. She loves her current role because she is able to inspire many people based on her own life story. She is able to lead in the classroom and cherishes the opportunity to teach future leaders on a subject in which she has much experience. Isa was formerly VP of Merchandising for Macy’s for sixteen years, and she now consults at Lux Couture as the Director of Merchandising; in addition, she is the owner of Plush Beauty Bar in Boston, MA. Wherever she goes, she will remember that she is Strong, Smart, and Bold. By echoing Girls Inc.’s vision, Isa teaches her students to work hard so they can realize their potential. She loves sharing her knowledge with students and finds that they relate to her story in a meaningful way. Even after graduating from programs at Girls Inc., Isa continues to live by the lessons she learned while she was a member. Her experiences are deeply rooted in everything she does, including in her career, role as a mother, sister, daughter. She has maintained engagement with the organization through a variety of platforms. 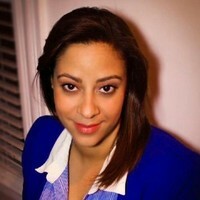 Isa served on the board of Girls Inc. of Lynn for several terms and was involved with the Capital Campaign Committee for the Lynn Girls Inc. Building. To this day, one of Isa’s proudest moments is when she secured a large donation to Girls Inc. of Lynn from Macy’s. She is honored to have been a part of the National Girls Inc. Board–Latina Initiative where she worked on strategic goals to ensure Girls Inc. had the resources to serve our large population of Latina girls. Isa continues to prove to herself and others that girls can accomplish great things when they set their minds to it. Isa is inspiring not only for her individual achievements but for role as a community leader, inspiring the next generation of leaders to find themselves and their true passions.